If you're a gadget/mobile phone fanatic, you might have heard about the Motorola Atrix getting the rounds in various technology blogs. That's because the Motorola Atrix is the most anticipated mobile phone this 2011. At the recently concluded Consumer Electronics Show, it got most of the "best" awards. So why is this mobile phone the most anticipated? Well, let's find out. 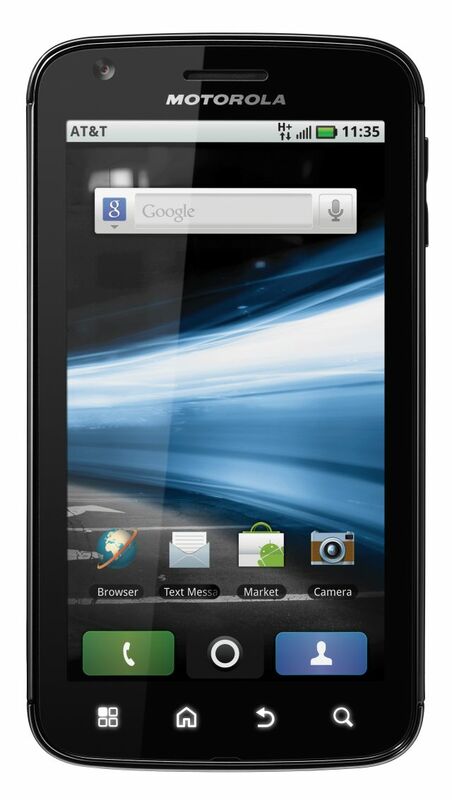 Well first and foremost, the Motorola Atrix 4G boasts that it's the first mobile phone to have a 1GHz dual core processor on a mobile phone. That's almost as powerful as most netbooks that were introduced last year. Aside from the 1GHz processor, it also has a 1GB RAM, put that two together and this mobile phone is more powerful than the iPad or Samsung Galaxy Tab. The Motorola Atrix's hardware also boasts of a fingerprint sensor, now while fingerprint sensors are nothing new on mobile phones, coupled with Android 2.2 and a little ingenuity, I'm sure there will be a lot of interesting apps that would crop up at the Android marketplace for the Motorola Atrix. 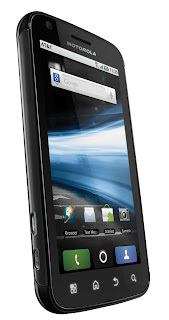 Other notable hardware on this mobile includes, a 4 inch gorilla glass screen, HDMI port, 5 megapixel camera, microSD slot, 802.11n WiFi antennae, and a GPS antennae. If a mobile phone has a dual core processor, it wouldn't do much good unless it has good features that could make use of that processing power and the Motorola Atrix definitely has the features that makes pretty good use of the dual core ARM cortex A9 processor. 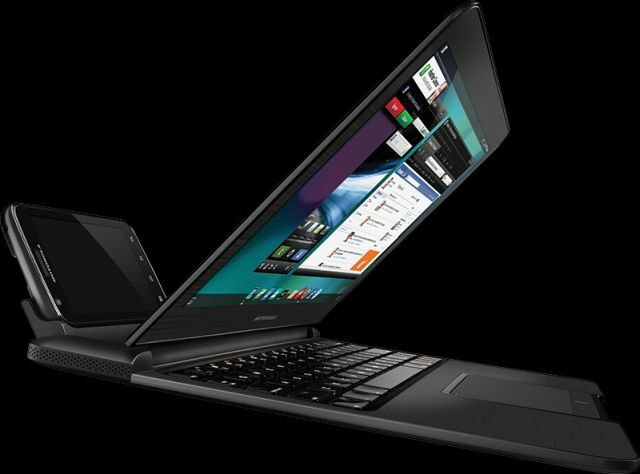 So what is this feature that makes the Motorola Atrix so freaking awesome? One word--Webtop. Webtop is an app within the Atrix that allows you to use your mobile phone as a smartbook when connected via dock. There are two docks available, a multimedia dock which you can use to connect on a desktop or a TV and a laptop dock, the latter, is just a screen and a keyboard that looks like a laptop without the internals. Anyways, the Webtop app allows you to use your mobile phone full screen and adds a full featured firefox desktop browser that can do flash. Yes, I know, Android can now do flash but even with that you can't access websites such as Hulu and flash on Android is still a little laggy but with a desktop browser, you can pretty much do anything on your mobile phone. Of course, Webtop doesn't really bring you a full desktop or laptop experience as you have to do your word processing via cloud based applications such as Google Docs. However, Enterprise users that makes use of Citrix are in for a treat: they can access their desktop via the Webtop application. Now THAT's computing on the go. Now I'm really excited about the multimedia dock, the laptop dock not so much since even though it's thin, you're still pretty much carrying a laptop and a phone with you, besides, if I have to lug the laptop dock around, then I'd just take the 11 inch Macbook air. Anyways, with the Multimedia dock, I can just connect my phone to any hotel room TV and I have a desktop browser and do cloud based computing. Well, Webtop is pretty much the Pièce de résistance of the Motorola Atrix, of course, there's also 720p video capture and word has it that it will be updated to 1080p video capture in upcoming updates to the phone. A lot of smartphones out there have always promised mobile computing but the lack of screen real estate and horse power still has most of us reaching for our laptops or tablets. Now with Motorola Atrix's dual core processor and dock, all we really need is find a monitor/TV (which you can find in Hotel Rooms) and we can pretty much do all the mobile computing we need. Again, we're seeing innovation here and it's possible that by next year, the line between mobile phones, tablets, netbooks and laptops will be a blur. I like the design and every feature it has, I like the applications, but I don't like Motorola, don't judge me! So I'll buy something that's not Motorola made, I want something better!